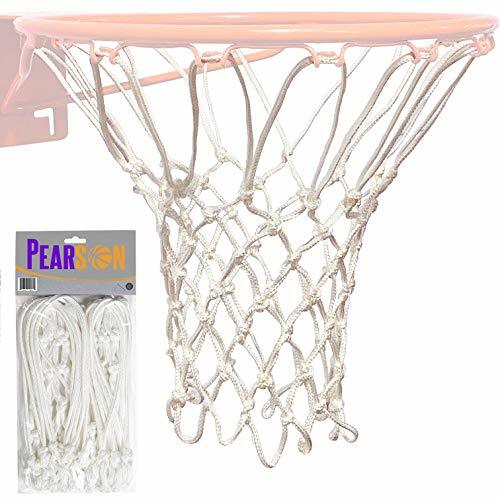 The 7mm professional basket ball net is our best selling net. It combines affordability with the weight and strength desired by both home court owners and public sports programs where heavy use is expected. Classic white nylon construction. Easily mounts to all standard size basketball rims. Building basketball hoops that are designed for aggressive play means we have a responsibility to protect players during that aggressive play. Enter Goalrilla's Universal Basketball Pole Pad. When we put the name "Goalrilla" on any product, that means safety and durability come standard and this basketball pole pad is no exception. The Universal Basketball Pole Pad was built for quick installation, maximum protection and long-lasting showroom looks regardless of what the weather throws at it. Invest in safety with a Lifetime Pole Pad for your basketball system. 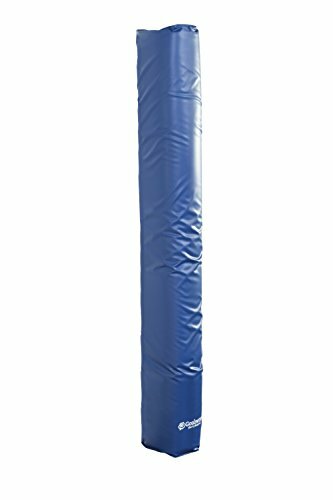 Basketball pole padding cushions impact with the pole. 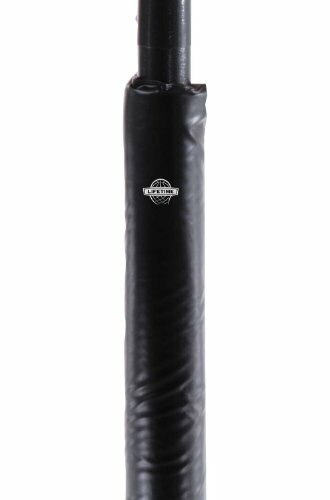 Our Lifetime Pole Pad is made of weather-resistant vinyl and foam padding and can be used indoors or outdoors. Using velcro straps, the Lifetime Pole Pad attaches easily to your 3.5 inch round basketball pole. 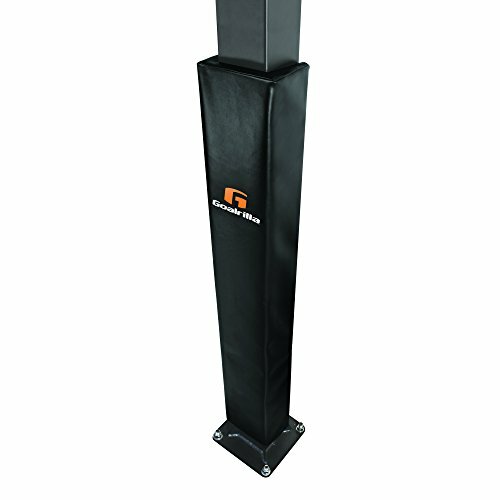 The Goalsetter Wrap Around Pole Padding wraps around your square basketball pole and stands a full 72" high. The pole pad is designed to fit snugly on your 5"-6" square poles. The 2"-thick poly foam padding provides added protection your family needs during aggressive play. Easily and securely install the pad using eight tailored tight-fastening Velcro straps. The pole pads are available in various team designs and color options as well. Goalsetter the best in basketball. Made with pride in the USA. When Goalrilla developed the Deluxe Pole Pad, player safety was a priority. That's why it delivers 4 inches of front pole padding. We also wanted to make the Deluxe Pole Pad the toughest basketball pole padding on the planet. So, we used the toughest materials to construct the Deluxe Pole Pad so it can weather...the weather. We also added a reinforced base strip to protect the pad from lawn equipment. Since we're known for basketball systems that can handle the most brutal play, we think we have a responsibility to develop pole pads to protect players during that brutal play. That's what it takes to be a Goalrilla. Sixty-eight-inches high, with 1.5 inches of foam between you and the pole, this Goalrilla square basketball pole pad will protect during even the most aggressive play. Its built-to-last, rugged construction includes a reinforced base, durable straps, and weatherproof material for all-season wear. It fits all Goalrilla 5x5 and 6x6 inch poles. The pole pad is not compatible with 6x8 inch poles. The square pole pad takes no time to install. This product is backed by a 90-day limited warranty. 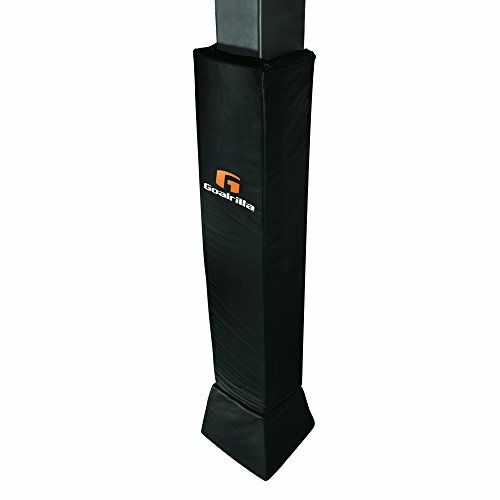 The Goalsetter Wrap Around Pole Padding wraps around your square basketball pole and stands a full 72" high. The pole pad is designed to fit snugly on your 4" square poles. The 2"-thick poly foam padding provides added protection your family needs during aggressive play. Easily and securely install the pad using eight tailored tight-fastening Velcro straps. The pole pads are available in various team designs and color options as well. Goalsetter the best in basketball. Made with pride in the USA. Support your favorite NCAA basketball team on your home court with a Goalsetter custom-fitted pole pad. 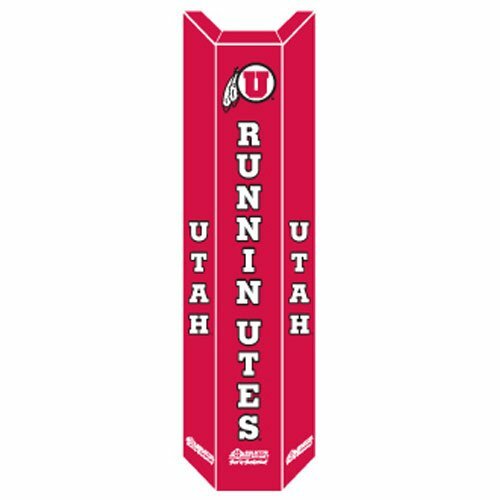 This three-sided, digital-printed pole pad featuring your team's authentic logo and colors will be the centerpiece of your driveway. This pole pad not only amps up school spirit, but also increases safety. The pole pad features 1.5"-thick, high-density foam for the added protection your family needs during aggressive play. The high impact closed-cell foam pad resists water absorption, and the durable vinyl exterior is fade-resistant to keep your pole pad looking good for years to come. 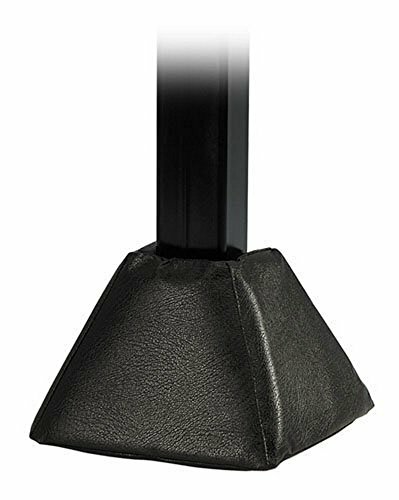 Designed to fit 4", 5", and 6" poles, the pole protector fits snugly against your pole and stands 72" high. Easily and securely install the pad using four tight-fastening Velcro straps. This pole pad is available in various team designs and color options. Goalsetter - the best in basketball. Made with pride in the USA. Allow yourself the assurance of total safety with the First Team Premium Basketball Pole Gusset Pad for 4in and 5in Square Poles. This First Team Gusset Pad is designed to cover the baseplate, gussets, anchor bolts and ground sleeves on 4in and 5in square poles. It features 1.5in thick foam padding covered by all weather vinyl. The heavy-duty velcro straps secure the pad to protect the players during even the most aggressive play. The pole pad gives the look and feel of being in the arena, while providing added protection from impact. Attaches easily with Velcro and is constructed to withstand the elements. Tested to ASTM Safety standards. If you re investing in a top-of-the line Mammoth basketball system, we have the Mammoth basketball equipment you need. Lifetime offers heavy-duty pole pads as part of our Mammoth basketball equipment line. This heavy-duty pole pad is twice as thick as standard pole pads, including our 0645 and 0646 models. Get extra protection from a collision with the basketball pole during an aggressive game. All of Lifetime s Mammoth basketball equipment is constructed of weather resistant material designed for indoor/outdoor Mammoth basketball systems. 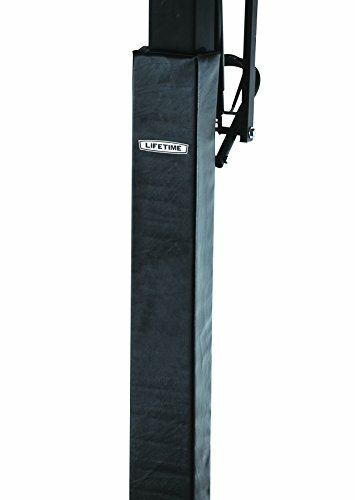 Protect yourself and your teammates with a heavy-duty pole pad. 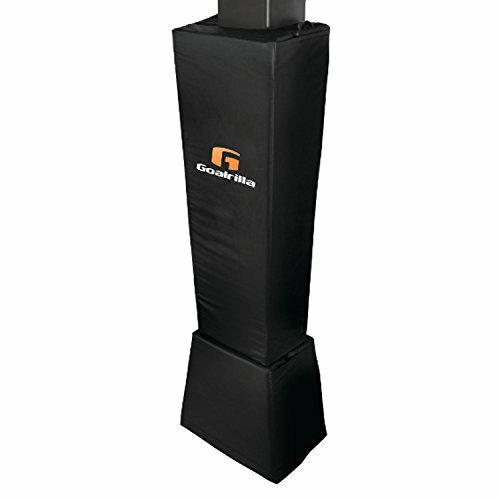 The Goalsetter Basketball Pole Pad provides serious protection for serious players. With resilient 1.5-inch closed-cell foam padding on three sides, you'll never have to hesitate to take it strong to the hole or think twice about skying for a monster board. 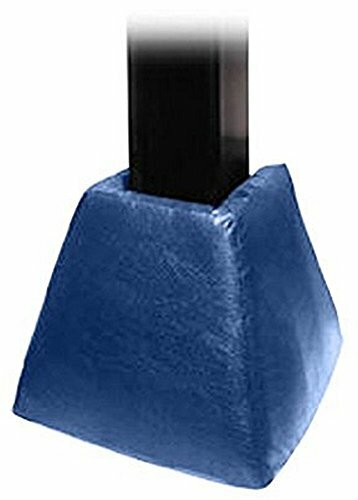 This protective pole pad is a must-have for any 4-, 5-, or 6-inch square-pole basketball system. Now playing it safe doesn't have to mean playing at half speed. This pad is wrapped in all-weather vinyl to provide extended life even in harsh conditions. It attaches to your basketball pole with 4 tailored velcro straps. Available in several color options. Measures 21W x 2D x 72H in.. Fits 4- to 6-in. square pole systems . Closed-cell foam with all-weather vinyl covering . Provides padded protection on 3 sides . Choose from several popular colors. Manufacturer's limited lifetime warranty. Measures 21W x 2D x 72H in. Allow yourself the assurance of total safety with the First Team Premium Basketball Pole Gusset Pad for 6 x 8 Inches Square Poles. This First Team Gusset Pad is designed to cover the baseplate, gussets, anchor bolts and ground sleeves on 6 x 8 inches square poles. It features 2-inch thick foam padding covered by all weather vinyl. The heavy-duty velcro straps secure the pad to protect the players during even the most aggressive play. Don t let unnecessary bumps and bruises interrupt your game; use a pole pad. Pole pads decrease the risks from impact with the pole. With a pole pad, you can avoid additional, unnecessary risks during an aggressive game of basketball. Our pole pads easily attach to your 4 in. pole with velcro straps and are designed for indoor and outdoor use. This pole pad will provide you with many years of protection from those hard knocks. Invest in your safety with one of Lifetime s pole pads for your basketball system. Heavy-duty indoor, outdoor vinyl pole pad for 4 Inches square pole. If you re investing in a top-of-the line Mammoth basketball system, we have the Mammoth basketball equipment you need. Lifetime offers heavy-duty pole pads as part of our Mammoth basketball equipment line. 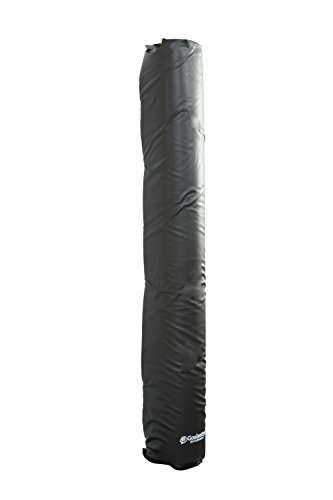 This heavy-duty pole pad is twice as thick as standard pole pads so you get extra protection from a collision with the basketball pole during an aggressive game. All of Lifetime s Mammoth basketball equipment is constructed of weather resistant material designed for indoor/outdoor Mammoth basketball systems. 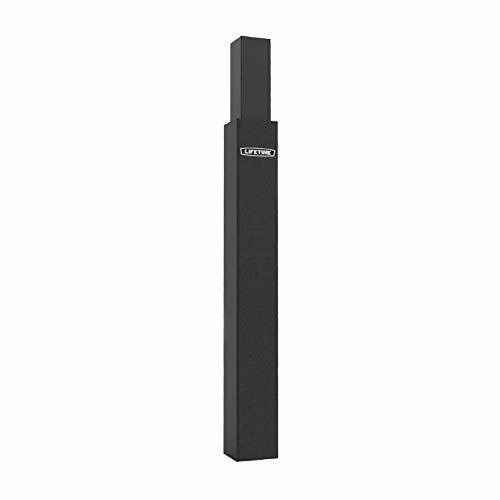 Protect yourself and your teammates with a heavy-duty pole pad. 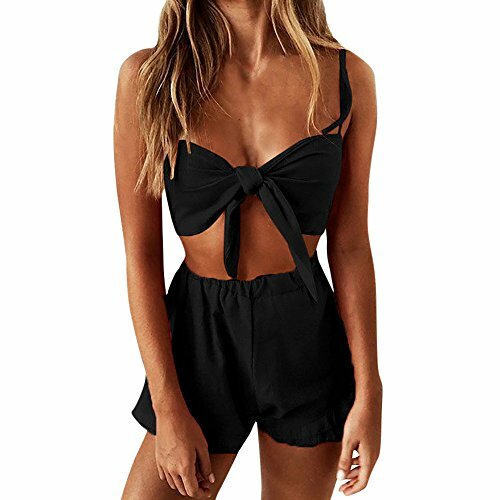 Size:S---Bust:88cm/34.7"---Top Length:20cm/7.9"---Waist:68~88cm/26.8~34.8"---Pants Length:38cm/15.0" Size:M---Bust:92cm/36.2"---Top Length:21cm/8.3"---Waist:72~92cm/28.4~36.4"---Pants Length:39cm/15.4" Size:L---Bust:96cm/37.80"---Top Length:22cm/8.7"---Waist:76~96cm/29.9~37.9"---Pants Length:40cm/15.8" Size:XL---Bust:100cm/39.37"---Top Length:23cm/9.1"---Waist:80~100cm/31.5~39.5"---Pants Length:41cm/16.2"
The Goalsetter Basketball Pole Pad provides serious protection for serious players. With resilient 1.5-inch closed-cell foam padding on three sides, you'll never have to hesitate to take it strong to the hole or think twice about skying for a monster board. This protective pole pad is a must-have for any 4-, 5-, or 6-inch square-pole basketball system. Now playing it safe doesn't have to mean playing at half speed. This pad is wrapped in all-weather vinyl to provide extended life even in harsh conditions. It attaches to your basketball pole with 4 tailored velcro straps. Manufacturer's limited lifetime warranty.